This set comprised of the rare Thuja wood is a work of art. The feel of the wood, the design and the weight, make this set a treasure for any man. 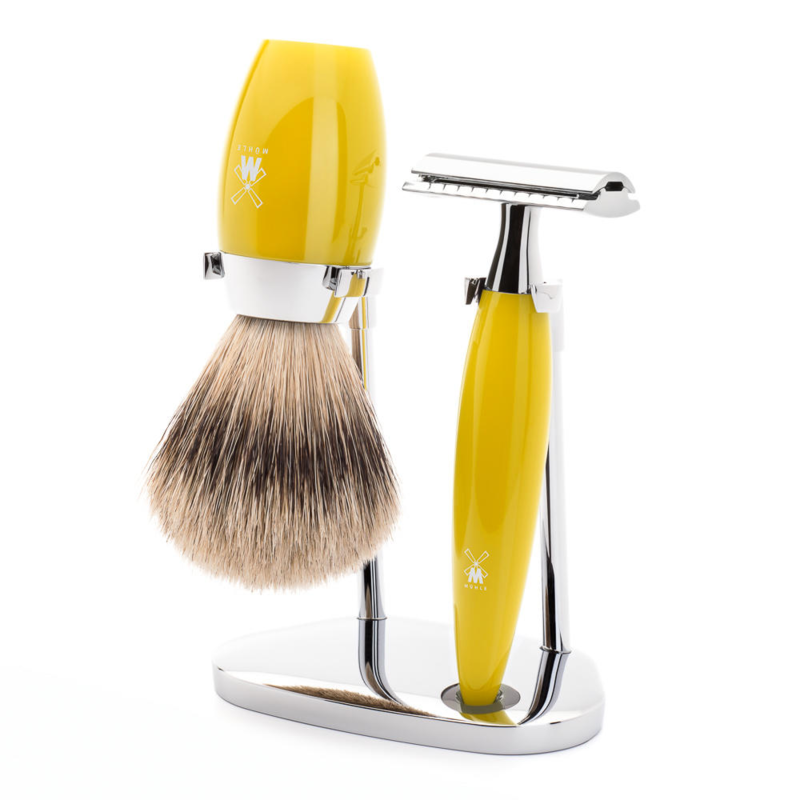 The set houses a silver tip brush and a high end Mach 3 razor. 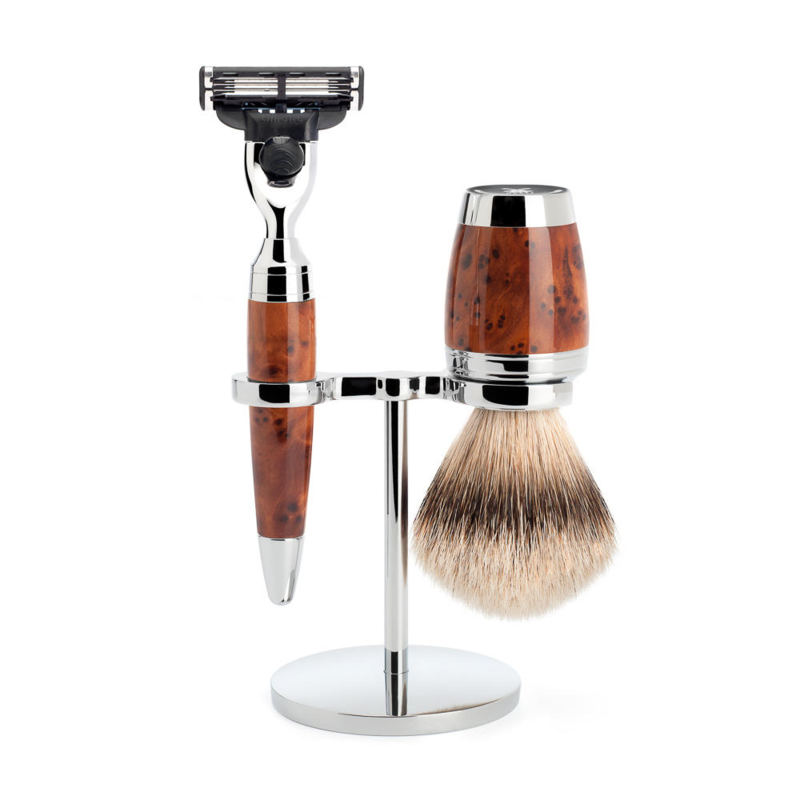 The Muhle Stylo traditional shaving thuja Wood 3 blades by Edward. Shaving with this high end kit, will bring back the Joy of the shaving. Imagine waking up to this every morning. We love the sleek coned razor and brush, finished off with this steel pommel. Quite elegant Indeed. The wood Is Thuja an African hardwood, which Is polished several times to expose all of Its majestic swirls and reds. The razor Itself Is 110 mm and 72 g making It pretty hefty, also the shaving brush Is 134 g. Muhle the traditional shaving company first formed In 1945, and have been making top shave kits since. This Is one of they’re higher end kits but we think It Is worth every penny. 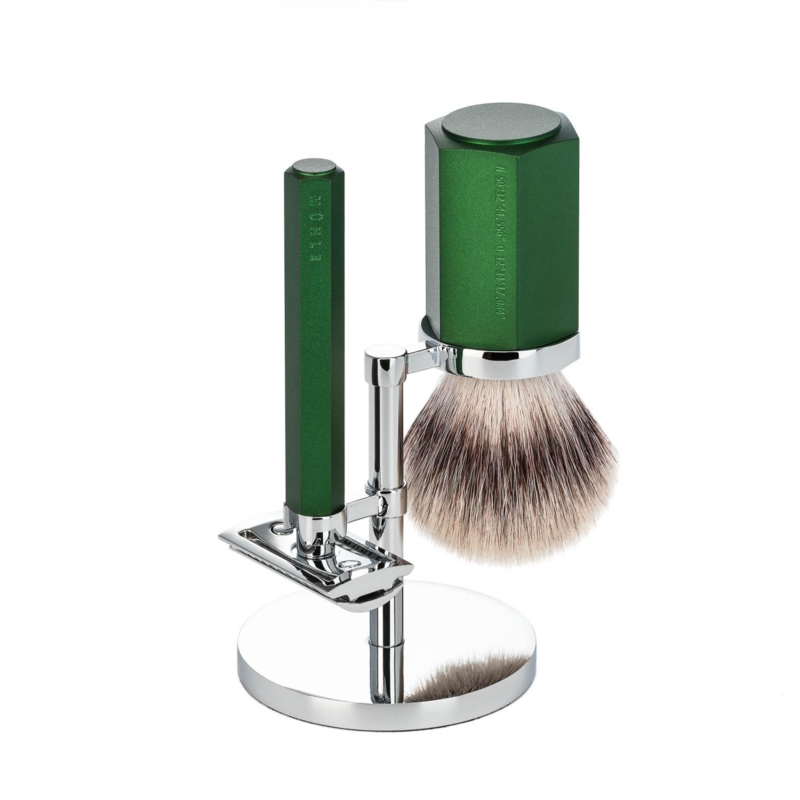 For example the traditional shaving brush Is silver tip and Is unscrew able, there fore you never need to buy a new brush. The Muhle Stylo traditional shaving Thuja Wood 3 blades, also comes In a wonderfully presented box. 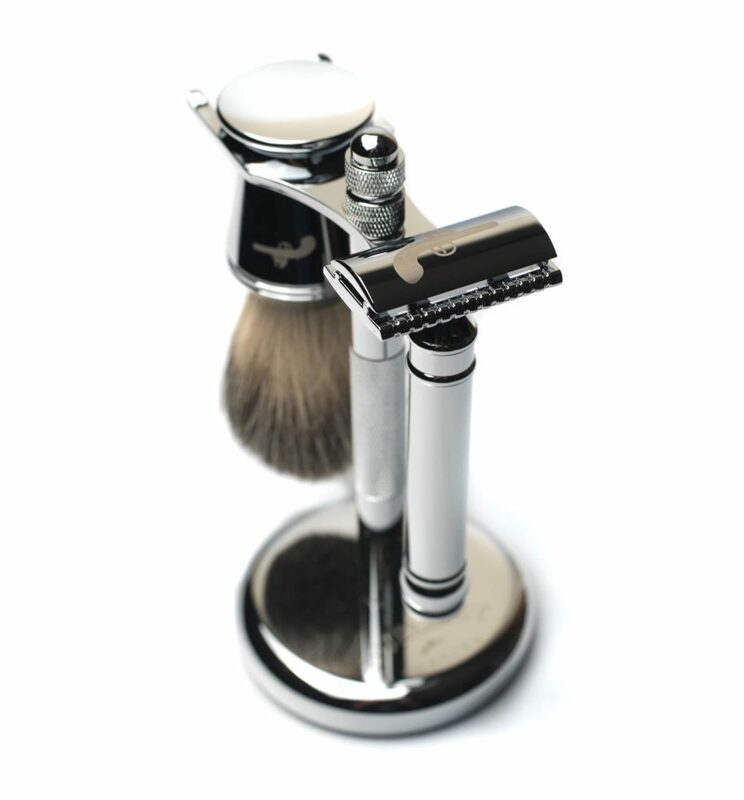 The razor head takes 3 blade cartridges like the Gillette mach 3, giving you a safe quick shave.